My first class was the Italian class which I had attended around 3 months back. The class was great and I learned many things about italian cooking. 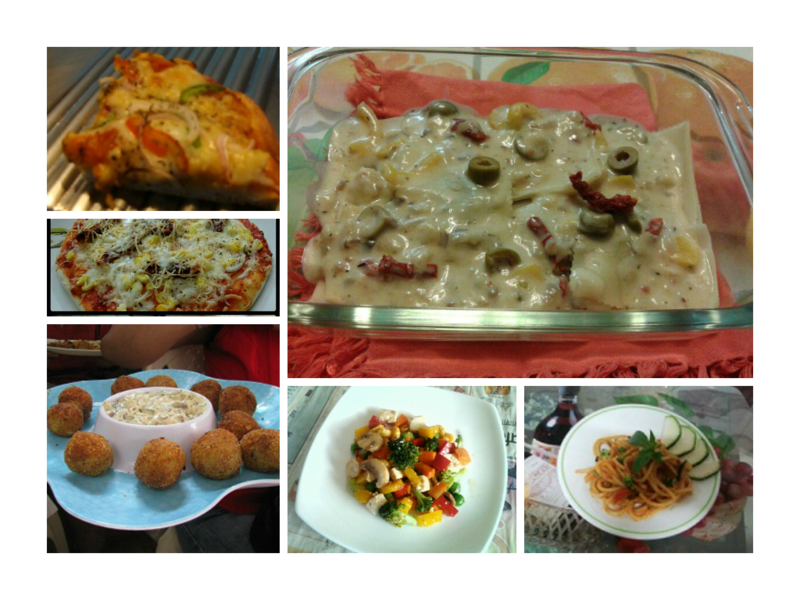 I have tried making both pizza and pasta. they turned out just great and everyone enjoyed it a lot..especially my husband. He liked pasta a lot. Since then every weekend he is asking me to make pasta. Great class. The pastas turn out better than what you get in restaurants. 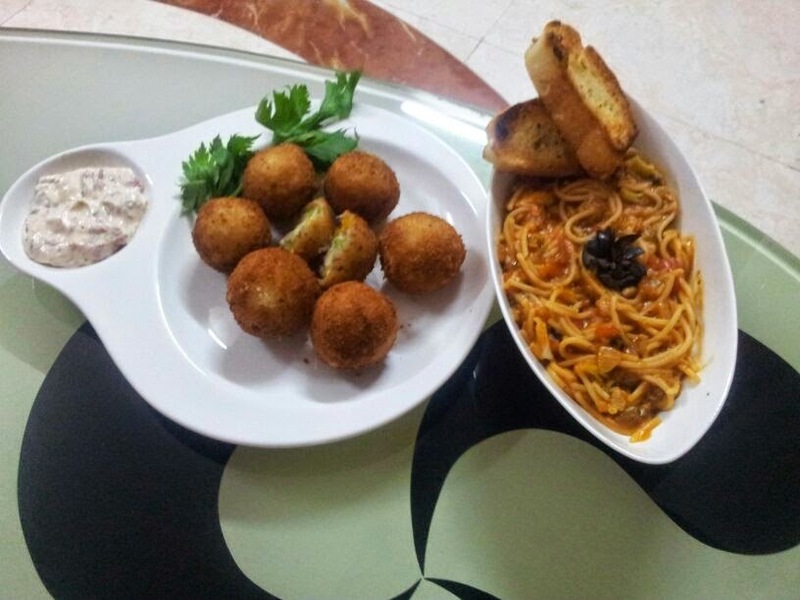 When I made Italian at home no one could believe that such food could be made at home also. They all were so impressed with me. Thanks Rajul for teaching so well. Just wanted to add that if you want to make pasta better than what you get in restaurants then you must attend this class. Every time I make pizzas and pastas I get rave compliments. Thks to you My children love my cooking now. So much so that they are ones who do not want me to miss your classes. made a complete italian fare tonight.........lasagna, pizza, cheese and jalapeno croquette and ended it with some yummy tiramisu........ my son said the tiramisu tastes just like in a 5* hotel. yesterdayI made Italian pizza,dip, and salad, it was a hit. Thank you so much for the wonderful recipes. One of my favourite class. I had a house party and the croquettes were a hit. But now I have a lot of leftover balls. Anyideas on what I could reuse for. Maybe sandwich is what I thought. Loved the Italian class. I made the pasta in red sauce and Pizza. Turned out really good. I made lasagne. it was awesome. all of my family friends loved it. one of my aunty gave you 10/10 for the recipe. your pizza sauce brings the pizza and any other dish to a totally new level. thank you soooo much for you teaching so well. italian class was the first ever i attended and have been attending all the classes since then.